Our massive community of bargain hunters has gathered the best cheap lawn offers, deals, and voucher codes. This is a great opportunity to purchase the items that you are looking for because of the special offers available. 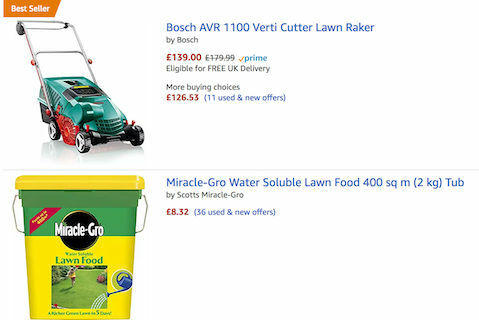 Get quality lawnmower equipment from Amazon, Homebase, Aldi, and other UK sellers. Take advantage of the different kinds of lawn maintenance equipment available on the market today. Our deal hunters will share to you important information to help maximise your savings when you purchase lawn mowers. 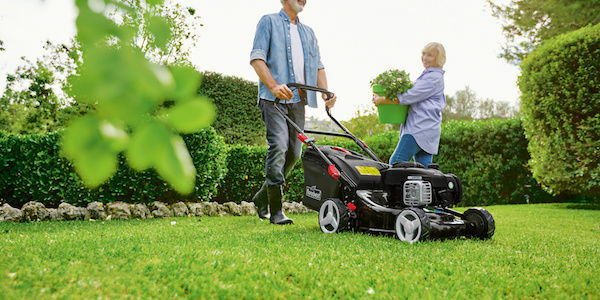 Get as much as 25% on selected lawn maintenance equipment. 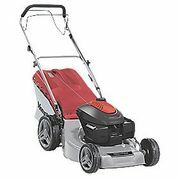 Mountfield Self Propelled Rotary Petral Lawn Mower - Save £30! Find the best lawn deals and special offers in the UK! Lawns are typically intended for aesthetic and recreational purposes. They are seen in an area covered with soil, and are planted with grasses. In them, it is also possible to stumble upon durable plants including clover. Basically, they are maintained in a short height and this is done through the use of a lawnmower. The regular mowing is a requirement in order for the piece of land to stay green. This is also achieved with watering. These are not just the definition of lawns. The latter is also found in houses, commercial buildings, apartments and offices. Most parks have large lawn areas as well. Indeed, a grass space has to be managed for it to become a functional lawn. Doing so is somehow an interaction between the natural environment and the newly-built urban and suburban space. Thus, maintenance is a must for these lawns. In order for this to take place, you must have the right tools to perform such activity. Taking care of your lawn can be a tedious task, but it is essential to keep it beautiful and healthy all the time. Fortunately there are lawn tools and equipment that can make help you finish the job quickly and efficiently such as petrol lawn mowers, lawn edge cutters, and other quality garden tools. 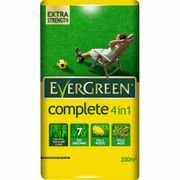 Nowadays, you don’t have to compromise your budget to purchase affordable quality lawn essentials. Here at Latest Deals you will find cordless lawn mower and electric lawn mower sale, as well as best petrol lawn mower price from major UK retailers. Get the biggest savings on Flymo lawn mower sale and other special offers on top lawnmower brands such as Bosch and McGregor. Our community of bargain hunters are always on the lookout to find the best lawn deals, sale, special offers, discounts, and price drops across the UK. We also have a team of money-saving experts who regularly share essential tips and tricks that will be able to help you save on your instore and online shopping. From lawn edge shears and leaf rakes to lawn grass food and electric grass trimmer, you will surely find a deal here that will meet your lawn needs and budget. Majority of online UK retailers have sale events, seasonal clearances, and flash sales where you can get up to 70% off on on a wide selection of lawn products. They also have 3 for 2 offers you can take advantage of for more savings. Watch out for their Black Friday and Boxing Day deals where their prices are reduced even further. If you want to maximise your savings, make sure to use the latest lawn discount codes we have here. We also have lawn voucher codes where you can get freebies or free shipping. Fertilizer Cart. A fertilizer cart is often used in spreading fertilizers evenly on your grass. It is vital that you put fertilizer in an even manner so that you can ensure the growth in your grass. When you do this, you prevent damages to your lawn, most especially when you apply large amounts of fertilizer materials. Aerator. When you aerate your lawn, the penetration of water becomes better because the grass is not compacted. Thus, you must get enough water with your grass to the soil so that you can maintain its growth properly. Hand Weeder. A hand weeder is a tool you use in removing weeds from your lawn without having to use chemical products. 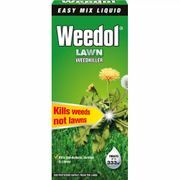 With this, you can be certain that you will not accidentally kill your grass most especially when there are annoying weeds found in the middle of your yard. Hand weeders are bound to remove both the weed and the root. Lawn Mower. In terms of the most important tool you need for your home’s lawn, this equipment is one of the most crucial. You need to have one so you can maintain your yard. Just be prepared though because this can be an expensive tool. Usually, it would depend upon the type of lawn mower you opt to buy. The lawn size will also follow. If you want to make your job way easier, you have to look at its features as well. Most lawn mowers are available in reel, electric, battery or gas. Lawn Shears. Lawn shears are effective when you have to trim areas on your lawn that are no longer reached by your mower. There are those that may ask you to get down on your knees so that you can trim. If that is not the type you want, then there are those with longer handles. They would make it possible to trim even if you are standing. Most of these lawn shears are found on motorized tool. Since that is the case, it is understandable that they are expensive. However, they are convenient because they will make your job way easier to finish and complete. Leaf Rake. Leaf rakes are not the same with garden rakes, most especially in terms of their tines’ size. As noticed, leaf rake tines are way longer, and more flexible. Thus, they would allow you to gather debris from the grass even if you do not exert effort. Shovel or Spade. Shovels have blades with various shapes. They are versatile and they can remove debris, most especially ones that are from animals, easily. In order to outmost this tool, sharpen the blade of your shovel every spring. That is going to make your job easy. The handle and the blade have connection, you might want to check that out too. Watering Hose. A garden hose is the key to keeping your grass, and your plants, healthy. If you want to maximise yours, you might one to get the right length for the areas of your lawn. When you do so, you can attend to those which are also missed by your sprinklers. If you are planning to find a new hose, you can find one that is simple to recoil, most especially to a small lightweight shape once the tube is empty. This can make using and storing plain. Wheelbarrow. Your lawn has the tendency to accumulate debris throughout various seasons. Yes, this is going to transpire whether you have leaves or dead grass. Typically, wheelbarrows are effective when you transport debris and garden materials from one place to another. Usually, the most efficient wheelbarrows come with two wheels and bins that are of high sides.If you want smaller areas in your lawn, you should find yourself a second wheelbarrow that can be maneuvered right away. Mow Regularly. There are many problems that may happen because of the grass being left long. Hence, you should ensure that you cut them not to be too long or too short. If you can, cut the grass as soon as it is already half the inch that you look forward to. Feed Properly. Once your lawn start to grow actively in the early spring, feed it accordingly. This might occur in the early Spring or in the late March to April. When you do so, you can maintain vigour to ensure that your grasses do not have weeds and moss. Utilise a lawn food for this. Raking. To scarify a lawn is crucial. This means that to you have to rake grass vigorously to get rid of dead matter that starts to build up. Employ a spring-tine rake which is bound for smaller areas, or invest in mechanical scarifiers if you must. Aeration. There are times when lawns are compact, most especially when a heavy traffic is present to and from a certain part of the garden. Compaction may lead to poor drainage so try to avoid that. Anyway, small areas can always be aerated when you insert a garden fork to the lawn at regular intervals. Repairs. The right time to operate, repair and sow lawns is during autumn. This is when the temperature of the soil is high and there is actually adequate moisture that may promote growth. Do not forget to rake areas of your existing lawn that calls for repair. You can do this to loosen the surface and remove the dead matter. This should work.